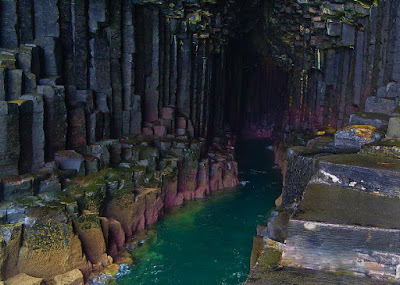 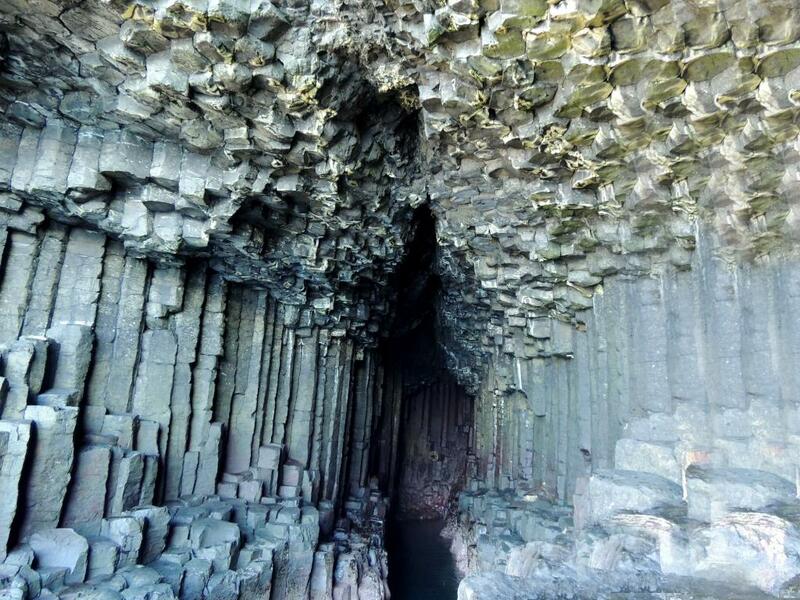 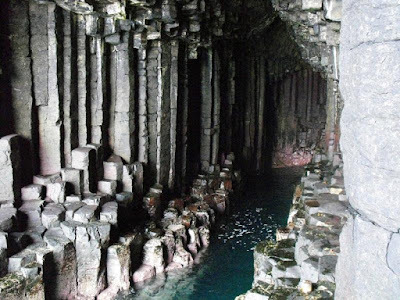 Fingal’s Cave is a sea cave on the uninhabited island of Staffa, in the Inner Hebrides of Scotland, known for its natural acoustics. 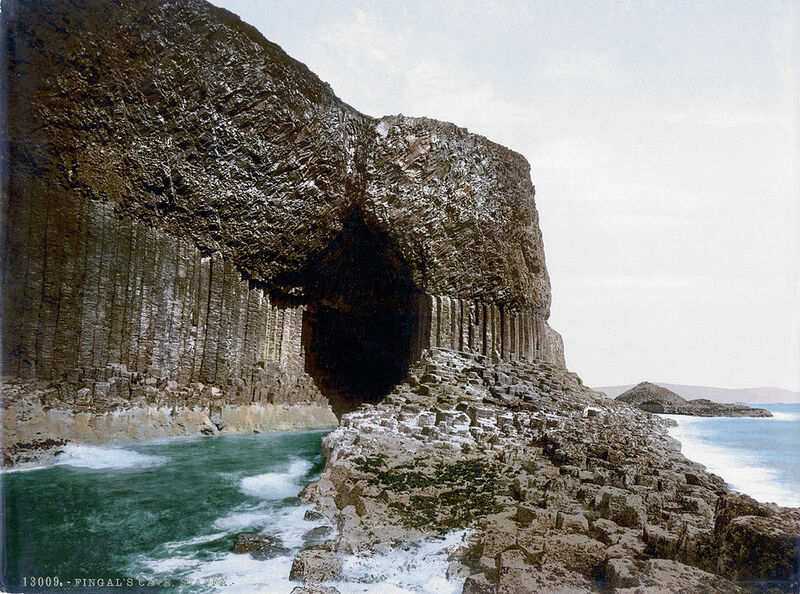 The National Trust for Scotland owns the cave as part of a National Nature Reserve. It became known as Fingal’s Cave after the eponymous hero of an epic poem by 18th-century Scots poet-historian James Macpherson. 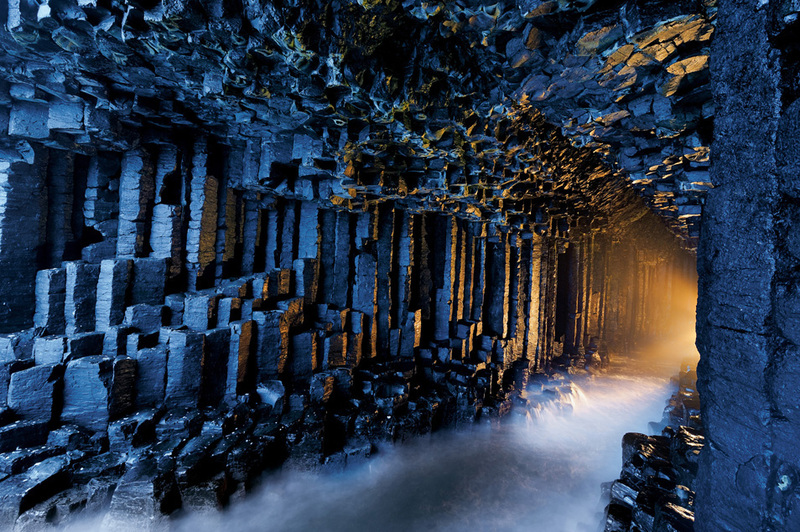 From Scottish Gaelic Fionnghall meaning “white stranger”, derived from fionn “white, fair” and gall “stranger”. This was the name of the hero in James Macpherson’s epic poem ‘Fingal’ (1762), which he claimed to have based on early Gaelic legends about Fionn mac Cumhail. 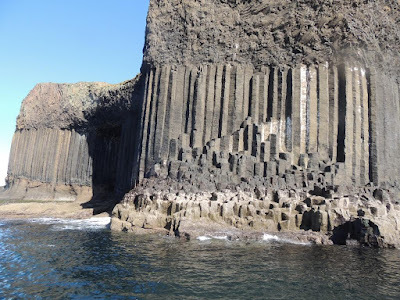 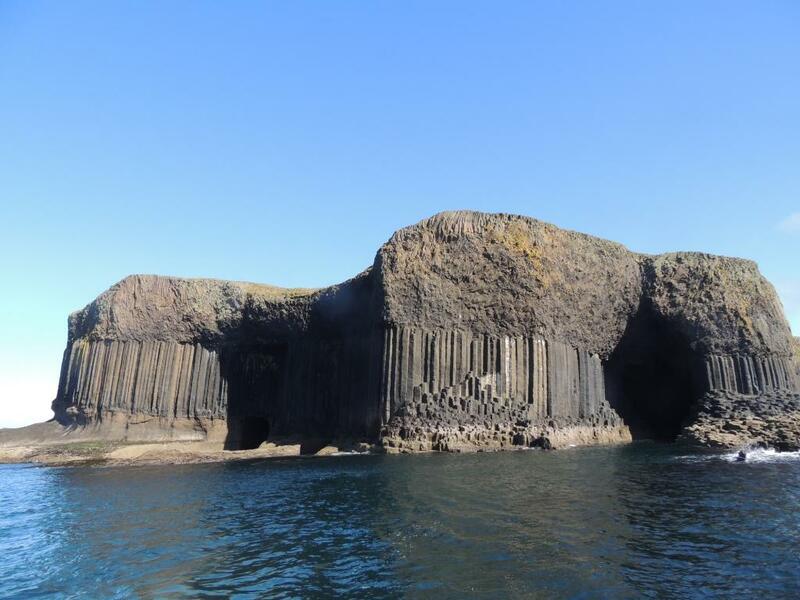 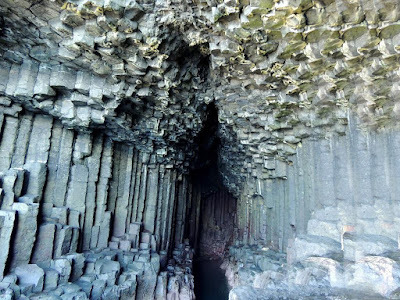 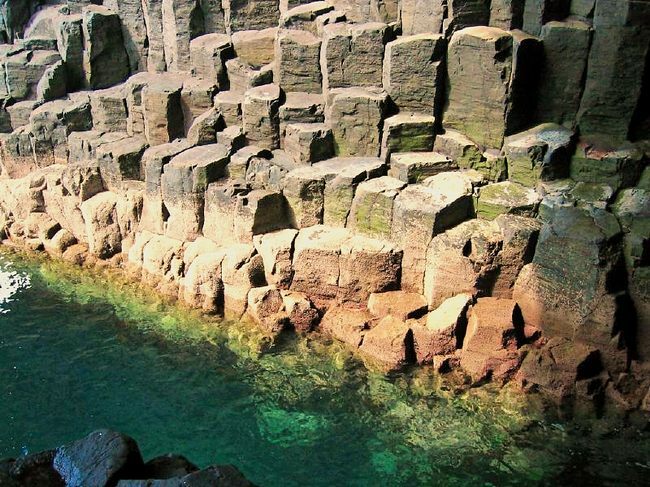 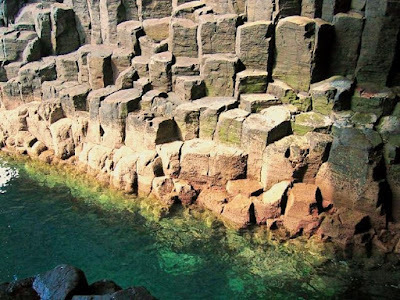 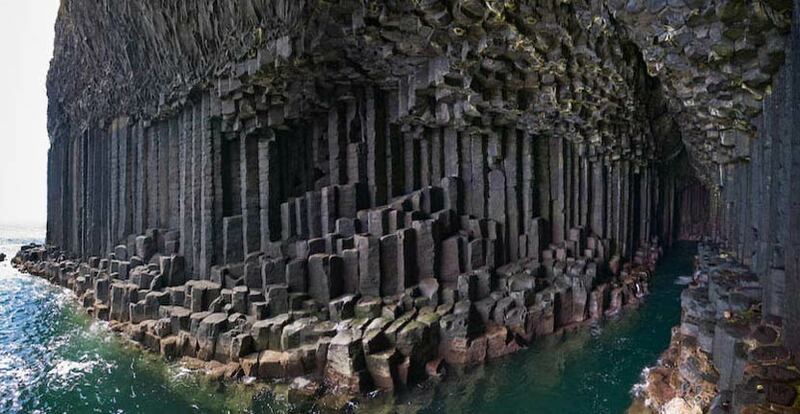 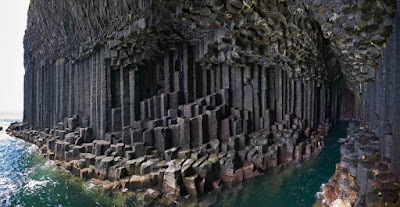 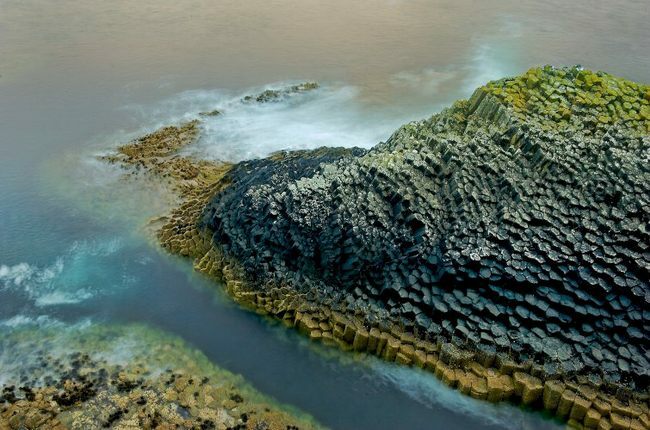 Fingal’s Cave is formed entirely from hexagonally jointed basalt columns within a Paleocene lava flow, similar in structure to the Giant’s Causeway in Northern Ireland and those of nearby Ulva. In all these cases, cooling on the upper and lower surfaces of the solidified lava resulted in contraction and fracturing, starting in a blocky tetragonal pattern and transitioning to a regular hexagonal fracture pattern with fractures perpendicular to the cooling surfaces. As cooling continued these cracks gradually extended toward the centre of the flow, forming the long hexagonal columns we see in the wave-eroded cross-section today. 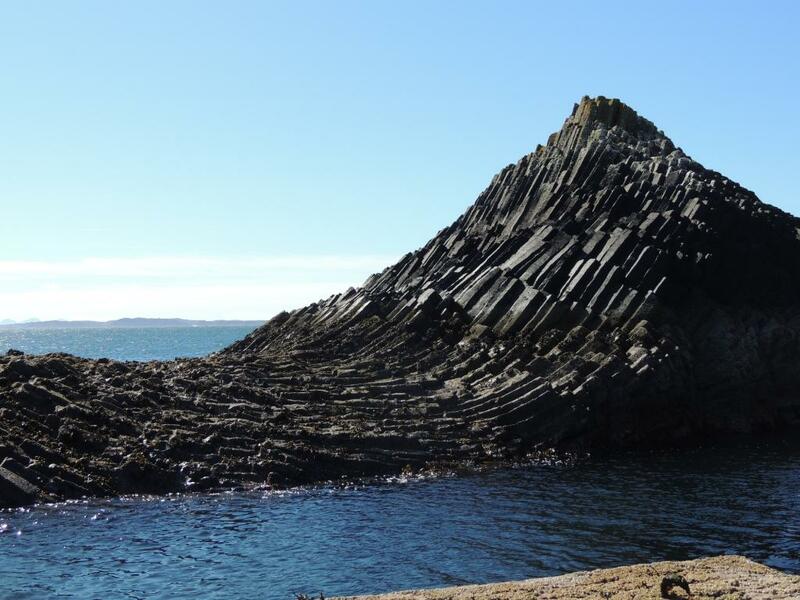 Similar hexagonal fracture patterns are found in desiccation cracks in mud where contraction is due to loss of water instead of cooling.